Hawaiian legend states that every child born is similar to a bowl of Light. That Light starts out as everything good, loving, peaceful, playful and creative. Unfortunately, as most of us grow, we start filling our bowls with stones of judgment, worry, fear, regret, anger and even hate. If we continue down that path, then eventually our bowl of Light is filled with stones and we become nothing more than stone ourselves. Happily, with intention and the practice of Ho’oponopono, our Light can be restored to our original nature. Sound nice? What if it were true? And what if it offers us a solution to many of the problems facing the world and most individuals today? I first learned about Ho’oponopono a number of years ago from a person who had studied the system from a Kahuna, or spiritual teacher, in Hawaii. 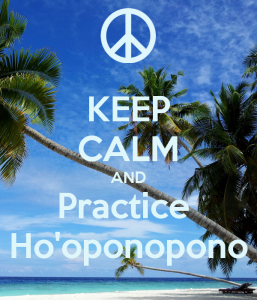 Pronounced, “Ho-O-Pono-pono, it is an ancient practice from Hawaii focused on reconciliation and forgiveness. The origins appear to have been as a community custom that focused on maintaining harmony and peace within the group—and implementing restitution when necessary. Some call it a spiritual, mental and even physical cleansing of wrong thought or action. Through the years it has evolved beyond the community into an individual method of restoring inner peace, equilibrium, and self-healing. While there are a number of modern teachers with varying interpretations, most of them focus on the power of forgiveness and letting go. How is ho’oponopono different from just learning to forgive? Most of us who have been on the self-awareness and personal growth path are familiar with the many benefits of forgiveness. 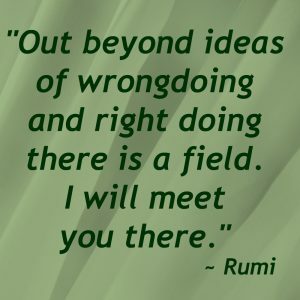 We’ve likely all heard the statement, “not forgiving is like taking poison and expecting the other person to die from it.” But what makes ho’oponopono unique is that it places the need to forgive and let go from within the person holding the feeling. In other words, any pain, judgment, fear, regret or anger regarding anything, is within me. So, in order to get rid of those destructive emotions and feelings, I must cleanse it from me completely. And here’s the catcher—I must realize that that anything that is going on in me, OR that happens to me, is a reflection of my consciousness where it was created. Oh wait a bloody minute!!! I can almost hear the denial screaming through the internet as I write. “You mean it’s my fault that person attacked me?” Or, “you’re trying to tell me that I’m responsible for my cancer?” Or, “How can I be blamed for our recently elected president?? ?” Okay, so before you kill the messenger, just remember that I am sharing the practice of ho’oponopono with you as a potential way to ease the problems in your life. I didn’t make this up. Google it if you don’t believe me. But before you completely stop reading, hear me out. What Do Advocates Of Ho’oponopono Teach? One of the most renowned teachers of ho’oponopono these days is Dr. Ihaleakala Hew Len. Dr. Hew Len first studied with a Hawaiian Kahuna and healer named Morrnah Simeona. Although a descendant of Hawaiian Royalty and taught the ancient ways, Simeona was influenced by Christian teachings combined with an interest in holistic practices from India, China and the spiritual teacher Edgar Cayce. Bridging her Hawaiian and Christian understanding of forgiveness and reconciliation, Simeona began exploring how karma and cause-and-effect tied each person to past trauma, negative thoughts and experiences, and even triggered reincarnation. She taught that the right prayers, very similar to those taught by Science of Mind and other New Thought religions, were the best way to clear and cleanse those negative energies or “stones” that are blocking the Light within us and within the world. Upon Simeona’s passing, Dr. Ihaleakala S. Hew Len continued on with the teaching and made adaptations along the way. From Dr. Hew Len’s perspective, ho’oponopono is best understood as a return to our blank state of Light. He calls that state, “Zero” and believes that once there, we exist with zero limits. However, a big key is the awareness that if all Life is interconnected and we are One with it, then we must accept 100% responsibility for everything that happens to us and in our world. Hew Len veered away from Simeona’s focus on using prayer as the best tool to reach ho’oponopono, and instead began to use a mantra that anyone could use, anytime, anywhere. That mantra is: “I love you. I’m sorry. Please forgive me. Thank you.” (Or any variation of that order). Another well-known international teacher of ho’oponopono is a woman named Mabel Katz. 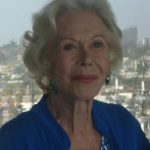 A Jewish woman by birth, originally from Argentina, Katz moved to Los Angeles and worked as an accountant and businesswoman before studying with Dr. Hew Len. Eventually she began speaking about her interpretation of ho’oponopono and wrote a book she named, The Easiest Way. Using practices that focus on forgiveness and gratitude, her goal is also to return us all to a state of “Zero Frequency. “ She teaches that from that “clarity of Zero”, outstanding solutions become apparent and excellent choices can be made. But she is very clear that accepting full responsibility for what is happening to you has nothing to do with guilt and everything to do with cleaning. What are key elements in all interpretations of Ho’oponopono forgiveness? If you take the time to read the many stories and ideas about ho’oponopono, you can’t help but recognize that a key element is an awareness of how we all carry our past around with us. If not the past, we are focused and worried about the future. Ho’oponopono teaches that we must clean that attachment repeatedly to all the past memories we have floating around in our consciousness. Just saying, “thank you, thank you, thank you” or the more complete mantra of Dr. Hew Len of “I’m sorry. Please forgive me. Thank you. I love you,” over and over is often a good way to break the chain to the past. Remember, you are not condoning bad behavior, only cleaning and clearing your conscious and unconscious connection to it. Another element is refusing to be a victim. This focus reminds me of the teaching of Carolyn Myss who repeatedly teaches that most illness is because of victim-mentality that we carry around with us. Myss teaches in her book Why People Don’t Heal that most illness happens because people can’t let go of those “stones” we are carrying around. 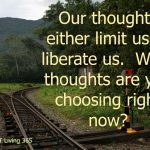 She teaches that if we only have so much life energy and we are using 60-70% of it focused on the things in the past that we can’t control or the 10-20% of things we worry about in the future, it is no wonder we are sick—and no wonder that our bodies and souls don’t have the life energy to heal us—let alone bring us peace and happiness. The final component is the awareness that we create our own reality. Like Law of Attraction (LOA) ho’oponopono teaches that we live in a whole and unified Universe where what happens to the least of us, happens to us all. Just as a butterfly flapping its wings on the other side of the planet, so too are we affected directly and indirectly by the actions of others—with all of it occurring first within the invisible realm that exists beyond the material world. That interwoven connection suggests that it’s possible that healing our mental, emotional and spiritual self also helps to heal others and the world around us. So how does ho’oponopono help me today? I get that some of these concepts may be hard to accept. Those of us, especially those of us raised in western cultures are highly addicted to thinking of the material world as primary (and in many cases exclusionary.) We also tend to think of ourselves as separate and distinct individuals. But for anyone on the spiritual path who has been looking for answers to a more peaceful and harmonious life, ho’oponopono might be the jumping off point you’ve been looking to find. Even if a person does nothing more than begin to recite the mantra, “I love you, I’m sorry, please forgive me, thank you,” over and over again, especially when confronted with fear, confusion or anger, it just might make a difference. How far you go from there is entirely up to you. 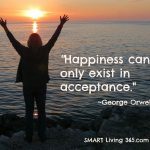 As with all things here on SMART Living 365 I do my best not to pretend I have the answers for anyone other than myself. But let’s face it; there are many tools from many different traditions that have helped people find the peace and happiness they are seeking. Staying open-minded, exploring our options, learning from others when we can, and moving forward are all part of a SMART life. And isn’t it good to think of yourself and every loved one you know, as a shining bowl of Light? I do believe this even if I didn’t call it hooponopono until now, Kathy. Just yesterday I was reading about Anne Lamott’s new book, Hallelujah Anyway, in which she says : “Mercy is radical kindness.” According to her mercy is the permission you give others—and yourself—to let go of the judgment and pain. What an interesting way of looking at things.I think sometimes we let go of our stones and baggage in steps. This mantra seems like it would be a good one to practice. What a fascinating article and exploration of this practice, Kathy. I’d never heard of it before! It makes so much sense–the idea of taking responsibility, not only for ourselves, but for what happens in our world. I can’t help but think of the contrast between the two political parties in our country, and how the Democrats seem so much more attuned to the concept that we’re all interconnected. Thank you for sharing what you’ve learned! I love the mantra. It’s beautiful. And so are you for sharing this lovely piece with us. I know that learning forgiveness is my reason for being here and that’s another reason this resonates with me. I’m going to try that mantra. How could it hurt? Did you know that Morrnah Simeona lived very close to me? Wow, I can’t believe it. She died in 1992 in Kirchheim, close to Munich. I love you. Please forgive me. I am sorry. Thank you. Thank you. Thank you Kathy!! How about if I want to make “ho’oponopono” my mantra? I love that word!! The idea of taking 100% responsibility is so intriguing to me. If all the angry, frustrated people in the world did this, what would they become? What would our world become? And from my observations, when people don’t “own their sh*t,” as I like to say, they end up dumping it on everyone else around them. They create collateral damage from not addressing their own problems/feelings/wounds. But angry, frustrated people will call those who consider/practice ho’oponopono “snowflakes” and we won’t get anywhere, I fear. And, we can only be responsible for ourselves. Onward. This is one powerful article I’ve read so far. Not only providing ideas but also offers clarity and closures for the mind. I had fun reading. Worth my time! Thanks a lot for this! Kathy, it’s the toughest principle of life—accepting responsibility for what happens to us. Creating our lives, being part of the Universe, forgiving, refusing to be a victim…These principles of Ho’oponopono are the fundamental truths to live by. I loved this article! Thanks for writing this. This is fascinating. Thank you so much! Timely for me, too. Very! And I watched my mom hold onto negative things forever. It’s been a big lesson, I hope I’ve finally gotten for how I want to live the rest of my own life.